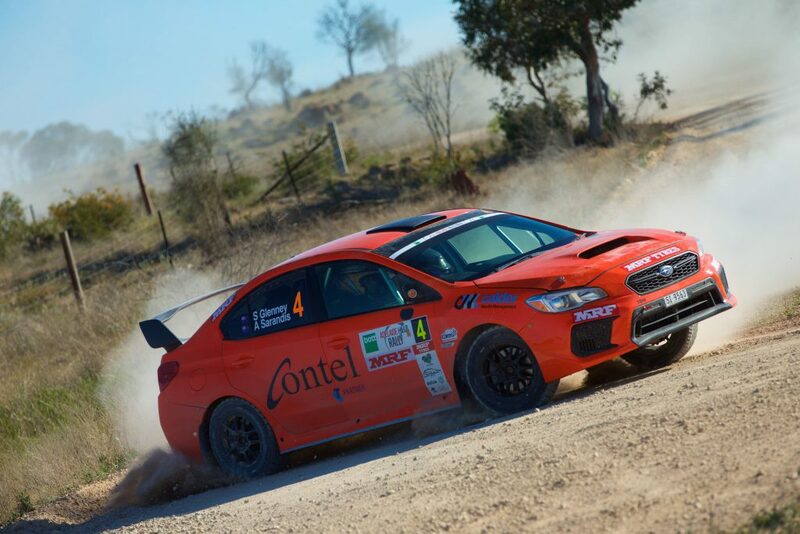 Steve Glenney and Andy Sarandis will be the latest CAMS Australian Rally Championship crew to line up in a world-class rally car at next month’s Kennards Hire Rally Australia. Following a serious crash during the BOTT Adelaide Hills Rally that saw their trusty Subaru WRX STi sustain heavy damage, The Contel Communications crew have equipped Glenney and Sarandis with the slick Skoda Fabia R5. The Skoda will be making its way from Europe and into the hands of the Tasmanian based crew thanks to a one-off deal with Race Torque. Team owner Craig Brooks was excited about the opportunity to field such a strong car, as they attempt one last chase of Championship leader and fellow Skoda driver, Eli Evans. “Race Torque already had the Skoda coming down to Australia, so it was just a matter of securing them which was pretty straight forward,” Brooks said. “We considered a R5 Ford from New Zealand but decided the Skoda was the way forward. “The cars that are available for rallying aren’t exactly falling off the shelf and these guys put together a pretty good operation so we’re keen to work with them. It’s been a season of near misses for Glenney, who is currently locked in third on the ARC standings, 37 points behind Evans and eight points second placed Harry Bates. Glenney had an extremely consistent season before the mishap in South Australia, which saw him fall behind eventual round winner in Bates and further behind Evans. Despite the Contel Communications crew having a sneaky chance for the championship, Brooks believes it would be a bittersweet moment for the team should they win, due to one member not being available. “We were committed to the project of trying to win the ARC in our beloved Subaru and we are disappointed not to be carrying that right through,” Brooks explained. “Having the Skoda is fantastic but it’s still a compromise as far as we are concerned, because we would much rather be doing it in our Subaru. “It was a sad a moment when we realised that she was so heavily damaged because a lot of heart and soul has gone into that car this year. “All the guys who work on that car, including Steve, were all saddened that our favourite toy is broken and wouldn’t be fixed to the standard that we wanted in time. Brooks believes that the Skoda will be good for the team from both a competitive and education point of view. “We would love to test the thing for a week and be right up to speed with it, but we have to be practical with what we are given,” Brookes added. “It will be interesting to find out where the gaps are between our Subaru and the Skoda and learn about what makes it such a good car. The Kennards Hire Rally Australia will take place at Coffs Coast on 16-18 November and marks the final rounds of both the ARC and the FIA World Rally Championship.